Get Started with Raspberry Pi and innovation! This is the most comprehensive, yet straight-forward course for the Raspbian OS setup for Raspberry Pi on Udemy! With over 90 minutes of video lectures, this comprehensive course leaves no stone unturned for Raspbian OS Setup on Raspberry Pi! This course has Video Lectures and able PDFs containing web resources and Linux commands to teach the complete Raspbian OS setup for Raspberry Pi to beginners. This course will teach you Raspbian OS setup on Raspberry Pi in a very practical, yet easy to understand manner! You will get lifetime access to over 90 minutes of video lectures plus corresponding able PDFs for the lectures! This course is free for everyone for promoting the culture of learning and innovation. So what are you waiting for? 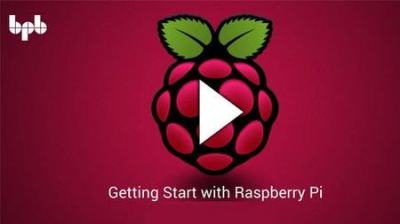 Learn Raspbian OS Setup for Raspberry Pi to get started with the amazing revolution in learning and innovation! Page created in 0.552 seconds with 36 queries.